Juice with Milk or Water? In Colombia, the hot chocolate is usually made with water and the fruit juice can be made with milk. Colombia is famous for its fruit and many are served as juice. Almost every restaurant offers fresh juice and when you order it, they will ask you how you want it. For strawberry juice, I usually order it “en leche” which is “in milk.” The juice with milk reminds me a bit of a mango lassi. If the juice is tart, I usually order it in water. 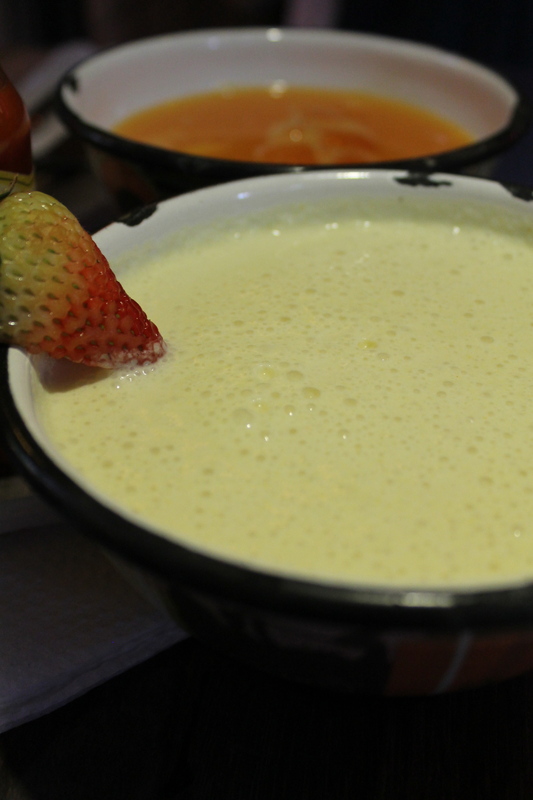 Frothy juice “en leche” served in a bowl at Andres Carne de Res restaurant.